Australia Post is reportedly in advanced talks with online retail giant Amazon to provide the U.S. group's express delivery services in Australia when Amazon officially launches in Australia next month. 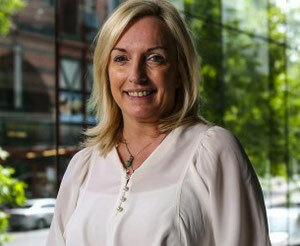 According to media reports, Australia Post's new chief executive Christine Holgate, who recently replaced Ahmed Fahour as Australia Post' CEO, Amazon's arrival could present an opportunity for Australia Post as it grows the size of the local business to consumer parcel delivery market. However, with Amazon's initial products expected to be household and other consumer goods as well as streaming services and groceries, Ms Holgate noted that Australia Post would also continue to work with the country's leading retailers, who face having A$10 billion wiped from their sales. "Clearly it's both (a threat and opportunity)," Ms Holgate told The Australian Financial Review when asked about Amazon's entry. "All of us Australians need Coles and Woolworths and Metcash to remain strong...we want people to have choice, so I think we can be both," she added. Ms Holgate also noted that following Amazon's entry in the United Kingdom "they (Amazon) took £5 billion in just three years, so that's A$10 billion. So you can understand why the retailers here would be nervous." On possible infrastructure expansion to accommodate Amazon's deliveries, she said "Australia Post don't want to spend too much on infrastructure for Amazon's benefit and be left with legacy infrastructure." "Amazon launched in the UK and were a massive partner with the Royal Mail, they are still a big partner but are nowhere near as big a partner as they were then. Royal Mail built a lot of infrastructure to enable that service for Amazon so as a business we have to be careful about if and how and when we build and what are we doing it for," the Financial Review quoted Ms Holgate as saying. Experts believe Amazon's local website will go live some time this month, ahead of the Christmas shopping season. Photos of Amazon's new 24,387sqm facilities in Melbourne's east were released earlier this week and from this site, Amazon is expected to ship hundreds of thousands of products from fridges to clothes and even groceries across Australia.